The Department has qualified and experienced faculties.To make the students more competent the department organizes expert lectures, workshops, technical events, seminars, & Industrial trips. The Department of Electrical & Electronics Engineering always ensures that the students are motivated for taking entrepreneurship initiatives by organizing various technical events. Engineering Mathematics is taught in all the 05 branches of engineering viz. EC, IT, CSE and ME. It has a remarkable group of colleagues who unite by their passion for mathematical research, join together to create an environment where enthusiasm and creativity can flourish. The students are inspired in every way and the top scorers in Engg. Maths I, Engg. Maths II and Engg. Maths III are honored with mementos. We produce the best result in the university, thus adding up our glorious track. In recent years the importance of engineering chemistry as a core course in engineering curriculum is being realised to a great extent. Hence engineering chemistry is included in the first year syllabus in all the branches of engineering. It impart basic knowledge of physico-chemical principles and their technological applications. In engineering chemistry department highly educated and experienced faculty members, most of them are doctorate, are imparting knowledge to students. We try to aquaint the engineering students with recent developments in the relevant areas of technology to broadent their horizon. Stress is givent to teach engineering chemistry by advanced audio-visual aids with orientation towards practical applicability of the subject. 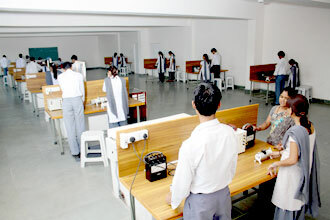 Engineering chemistry laboratory is well equipped with equipments. Emphasis is on giving practical knowledge to students with the help of charts, models, demonstation and practical performace by the student’s. Department of PHYSICS was established with the aim of imparting quality education in the field of Physics to UG students. Since its inception it has been one of the major Departments of institute with its involvement and accomplishment in both teaching and other extra curricular activities. The Department offers courses in Engineering Physics to undergraduate I year engineering (B.E.) students. 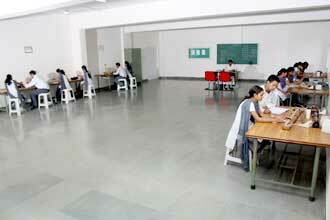 The Department is equipped with physics laboratory to cater the need of B.E. first year students. 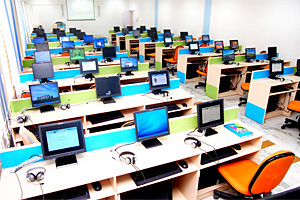 This Laboratory is useful for I semester students of all the branches (EC, ME, CSE, IT ). 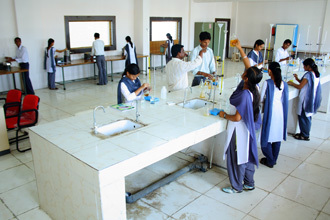 The Laboratory mainly deals with the basic practicals of Physics. In this laboratory, students learn about concepts of Engineering Physics. The ability to communicate is the primary factor that distinguishes human beings from animals. And, it is the ability to communicate well that distinguishes one individual from another. The fact is that apart from the basic necessities, one needs to be equipped with good communication skills, as this is what makes them a happy and successful social being. Today, when thousand of students are passionately joining the engineering stream, effective communication skill plays an important role in shaping their future. The art of communication is very relevant in the present era and it lies at the root of much that is being taught in the initial years of degree course. Even the experts believe that the knowledge of technical skills without soft skills would make them good workers but not managers or leaders. The lectures which we have in our institution are interactive in nature. Students enjoys these lectures and eagerly look forward to it. These lectures are very fruitful and helps them in improving their communication skills.